Compiled by Ruwan M Jayatunge M.D. On April 5, 1942, the Japanese Empire made an unsuccessful attempt to invade Ceylon (Sri Lanka). Ceylon was strategically important as it had command and control of the Indian Ocean and was a “mere stepping stone” to India. Having effectively put an end to Allied naval strength in the South Pacific with the annihilation of the American-British-Dutch-Australian forces around Java, Dutch East Indies, the Japanese naval leadership made a plan to sail westward into the Indian Ocean to attack the new British naval concentration at Ceylon (Chen, 2004). During this time period, the Japanese forces immediately overran Malaya from Thailand, and captured Singapore with 60,000 British troops in Feb. 1942. Ceylon was an easy target for the Japanese Imperial Forces. A massive air attack was their plan. The Colombo air raid came 119 days after Japan formally entered the Second World War by attacking the United States Pacific naval fleet at Pearl Harbor in Hawaii. Many Japanese pilots who took part in the Pearl Harbor attack joined in this air campaign. A surprise attack was their key plan. There were a number of Kamikaze pilots and they intended to destroy the defenses of Ceylon. However the invading forces could not attack strategic points and couldn't cause severe devastation in Ceylon. It was not a surprise attack like the Pearl Harbor. The Ceylonese defense forces knew the Japanese bombers were reaching and took numerous safety precautions. The Japanese attack was successfully defended. The man who jeopardized the Japanese air attack was a Canadian pilot called Leonard Birchall. He saved Ceylon from the invading Japanese forces. His efforts helped Ceylon evade Japanese occupation. Shortly after the Pearl Harbour attack, the East Indies naval fleet of the Allies was rushed and based in Trincomalee, one of the world’s biggest natural harbors. The Royal Air Force (RAF) soon established a “Catalina” (flying boat) squadron in early 1942, doing reconnaissance work from the Koggala seaplane base. (Devarajah, 2010). 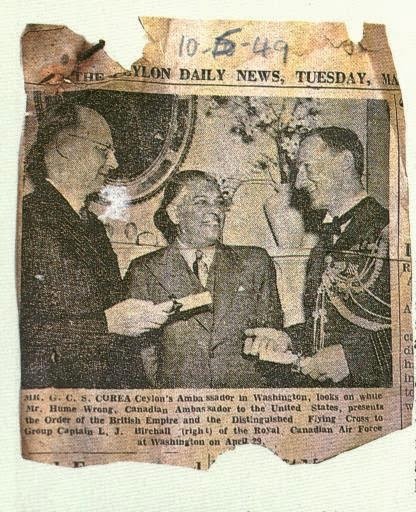 On April 2, 1942, Squadron Leader Leonard Joseph Birchall of the Royal Canadian Air Force came to Ceylon. He flew down from Karachi in his Catalina with his eight-member crew to the Koggala seaplane base. Two days later, on April 4, 1942, Birchall volunteered to fly out on a reconnaissance of the coastal waters. After completing his routine search mission and on his way back to base, Birchall noticed a series of “sticks” rising up on the distant horizon and against the dim grey evening skies. Birchall suddenly turned his “Cat” to take a closer look at the suspicious object and was virtually flabbergasted to observe a Japanese armada of seven aircraft carriers, three battleships, two cruisers and a large number of destroyers heading towards the South-East coast of Ceylon, about 350 miles away. Birchall radioed back to the base, the position and composition of the advancing Japanese naval fleet. His SOS message was picked up and all “posts” in the island were alerted. Whilst he was repeating the SOS a third time (as there was no reply to his earlier messages), Birchall’s “Cat” was riddled with bullets from Japanese planes which had spotted it. “As we got close enough to identify the lead ships we knew at once what we were into but the closer we got the more ships appeared and so it was necessary to keep going until we could count and identify them all. By the time we did this there was very little chance left.” The Catalina was then attacked by up to 12 Zeros. The Japanese wished to know if the crew had transmitted a sighting report, but could think of no more sophisticated way of learning this than by administering repeated beatings. The airmen stuck to their story that they had not had time to use the radio before being shot down, but then the Japanese intercepted a message from Colombo asking the Catalina to repeat its report. This sigint success, apparently the only one the Japanese enjoyed during Operation C, led them to conclude that they had lost the element of surprise – and prompted them to beat the Catalina crew again. The Catalina’s radio and navigational equipment sustained heavy damage and the sea plane crashed into the sea. One member of the crew perished whilst two others were killed by Japanese machine-gun fire whilst they were in the water. Fifteen minutes later, Birchall and five other survivors were picked up by a destroyer and later transferred aboard the Japanese aircraft carrier Akagi, to Japan. Three of the “Cat” crew were badly wounded. The Japanese interrogated Birchall to find out whether a radio message had been flashed, alerting Ceylon about the pending invasion. Birchall said he was about to do so when the radio equipment was destroyed by the Japanese gunfire. The six prisoners during the intensive interrogation denied that a radio message had been sent to Ceylon, alerting its air and ground forces (Devarajah, 2010). 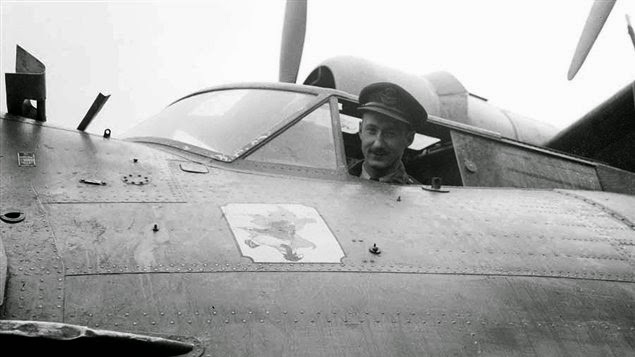 Leonard Joseph Birchall in the cockpit of his Catalina. The armada headed by the Japanese Admiral Chuichi Nagumo consisted of six Aircraft carriers, four battleships, five submarines, seven cruisers, 19 destroyers and 350 aircrafts (Jayawardena, 2013). On the following day, April 5, 1942, Easter Sunday, the Japanese sea and air task force raided Colombo harbor and the Ratmalana airport, badly damaging harbor installations. But the Japanese were astonished when they were repulsed and driven off by repeated“Ack-Ack” and anti-aircraft gunfire. The Colombo defenses “bagged” 32 Japanese aircraft whilst damaging 25 others. The total civilian casualties numbered 37 in the first “Baptism by fire” over Colombo. Twenty of them were inmates of the Angoda Mental Hospital (Devarajah, 2010). The air battle lasted for nearly half an hour. The Allied forces, warned of the danger, were able to shoot down some of the enemy aircraft which fell on land and the sea. Among those shot down, one fell near St. Thomas' College, Mount Lavinia, one closer to the Bellanwila paddy fields, one near Pita Kotte, one on the race-course, one near Horana and one on the Galle Face Green. One bomb fell off the target and damaged the Angoda Mental Hospital killing some inmates. It appears that the pilot had mistaken the buildings to be Echelon barracks sheltering the Allied troops. One fell near the Maradana railway station partly damaging it. There were many deaths and more casualties and most of them were civilians (Ratnasinghe 2004). The Allied forces in Ceylon next anticipated an attack on Trincomalee and a large Japanese armada -- both warships and aircraft carriers -- was spotted on April 9, 1942 by reconnaissance planes, about 30 miles off the east coast. At 7.00 a.m the Japanese unleashed their first attack on Trincomalee with ninety one bombers and thirty eight fighter aircraft. However in contrast to the Sunday's raid, the RAF at China Bay had received some advanced warning and already had a meager aerial force scouring the skies for enemy aircraft. But it proved to be of no avail. The fierce dog fight that ensued over the skies of Trincomalee that day claimed countless lives in air, sea and ground with damage to fuel installations, ammunition dumps, vehicles on the ground, ships at the harbor and air craft that dropped from the sky like flaming meteors. One Japanese pilot is claimed to have committed suicide by crashing his plane into one of the Navy's massive British oil storage tanks which happened to be fully filled at that time (Jayawardena, 2013). The Navy sustained a total of 756 casualties in the two “battles” over Colombo and Trincomalee. Twenty one officers and 287 ratings lost their lives on the “Hermes”. Ten officers and 180 ratings were lost aboard the “Cornwall”; 19 officers and 215 ratings on the “Dorsetshire”; three officers and 12 ratings were killed aboard the “Tenedos” and one officer and eight ratings perished with the “Vampire”. On February 7, 1944, a Japanese warplane flew over Point Pedro and later over Batticaloa. It dropped eight bombs, but there were no casualties as most of them fell on the Batticaloa-Trincomalee road and on a nearby plantation (Devarajah, 2010). Birchall's signal was garbled on arrival in Ceylon, and requests for amplification went unanswered. However, it gave the clear impression that invasion was imminent. The Japanese fleet lost the element of surprise. The defences were fully alerted. Birchall’s message galvanized the British commanders. 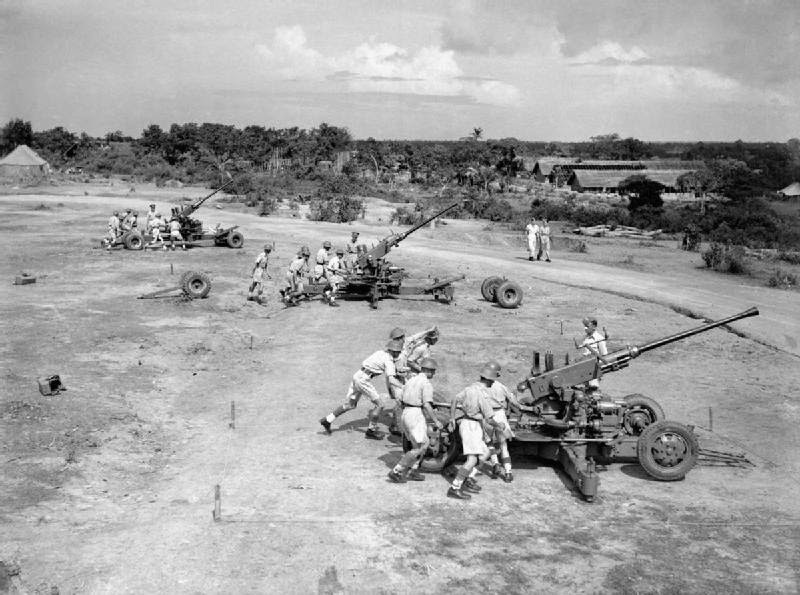 Colombo’s garrison and the RAF units on the island were ordered to stand-to from 0300 hours the next morning, and the harbour was cleared of warships and merchant vessels. About 60 vessels had been sent out of harm’s way following the 28 March sigint warning, and another 25 were dispatched now, including Cornwall and Dorsetshire. Two destroyers, a submarine, a submarine depot ship, an armed merchant cruiser, and 21 merchant ships were unfit for sea, and they remained in the harbour (Stewart, 2007). The Governor Sir Andrew Caldecott (1937-1944), placed Sri Lanka under a war footing, organised civil defence, food rationing, building camps, evacuation of school children from Colombo and many other things he considered necessary to protect the civilian population in the event of Japanese attacking Sri Lanka. When the danger seemed imminent, Admiral Sir Geoffrey Layton was appointed Commander-in-Chief of the island. The South-East Asia Command (SEAC) with Lord Louis Mountbatten as the Supreme Commander, had his office shifted from New Delhi in India to Kandy in Ceylon (Sri Lanka). Admiral Layton took the initiative not to allow a repetition of the Singapore debacle when about 60,000 British troops were captured by the Japanese as prisoners-of war. The British Prime Minister Churchill, in 1945 said, “the sighting of the Japanese fleet had adverted the most dangerous and distressing moment of the entire conflict. Ceylon’s capture, the consequent control of the Indian Ocean and the possibility of a German conquest in Egypt would have closed the ring, and the future would have been bleak.”(Montgomery, 2014). In addition Winston Churchill declared that Birchall's courage in helping to foil the Japanese invasion was "one of the most important single contributions to Allied victory". The Japanese pilots who detected Birchall's aircraft, fired a storm of bullets, and it crashed into the sea near Hikkaduwa. He was taken prisoner by the Japanese troops. Leonard Birchall was transferred to a Yokohama prisoner-of-war camp where he was kept for about 15 months. 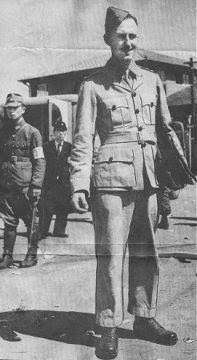 The Japanese then moved him to Tokyo until the Allied forces virtually “burnt out” the capital.After Birchall and his surviving crew fell into the hands of the Japanese, all hopes of seeing them again had been given-up for nearly two years until a Canadian managed to escape from the prison camp and sent a postcard to “Mrs. Birchall C/o the war office”, stating “Birchall is Alive”. Birchall was awarded the Distinguished Flying Cross (Ratnasinghe 2004). Birchall and his three other crew were taken to the town prison, where they were poorly fed before all the crew were eventually reunited. 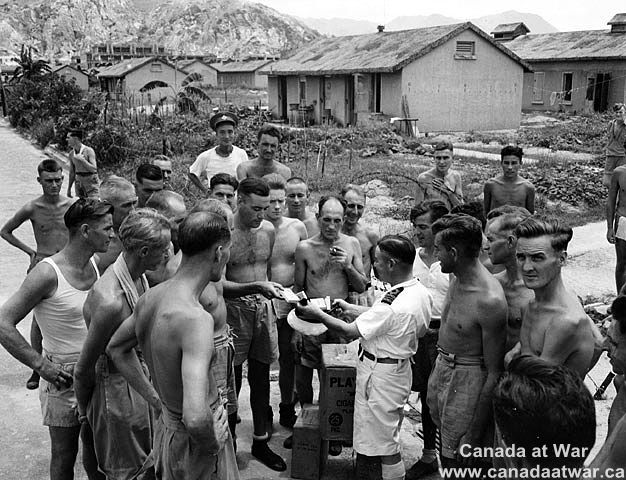 After five months they were the first inmates at a new camp in the mountains near Yokohama, where 250 Commonwealth prisoners from Hong Kong and 75 Americans from the Philippines soon joined them. In the Japanese prisoner of war camp 150 kilometres West of Tokyo, Birchall became the advocate for and defender of the men, resulting in him being condemned to death three times. He kept secret documentation of the atrocities witnessed in the camp. In 1948 Birchall returned to Japan to testify in the subsequent war trials and witness the hanging of one of his former tormentors. Years later he used his diaries in a campaign to win Federal compensation for POW survivors. Some of his documents were used by Barry McIntosh in his book Hell on Earth. In 1992, Leonard Joseph Birchall visited the island of Ceylon (Sri Lanka) to celebrate the 50th anniversary of the air battle over Colombo. He was given a hero’s welcome by the Sri Lankans. He visited his former WW2 air base in Koggala and erected a monument that marked 50 th anniversary of the defense of Sri Lanka. Leonard Joseph Birchall was born in St. Catharines, Ontario in 1915. In 1933, he enrolled as a cadet at the Royal Military College of Canada .He was commissioned in the RCAF and served as a pilot. His heroic efforts during the war inspired many people. The war hero Leonard Joseph Birchall was decorated with Order of Canada, Distinguished Flying Cross and the Canadian Forces Decoration. In 2000, he received the Order of Canada and was inducted into Canada’s Aviation Hall of Fame. 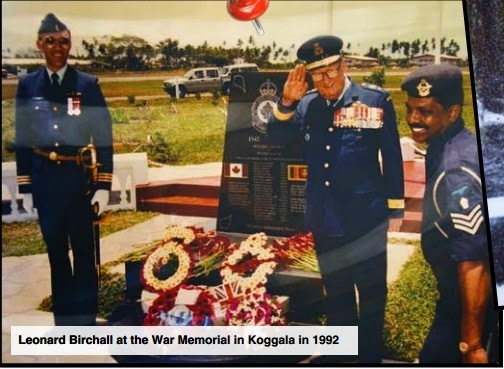 In 2001, Birchall received the Vimy Award and in 2009 he was honoured as one of the 100 most influential Canadians in aviation heroic efforts resulted in his being named “The Saviour of Ceylon,” by Sir Winston Churchill. 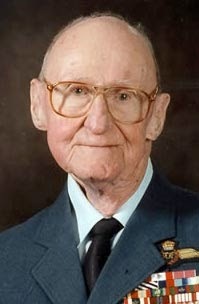 After living a fruitful life Air Commodore Leonard Birchall passed away on September 10, 2004 in Kingston, Ontario at the age 89. He was buried in the Cataraqui Cemetery Kingston. Air Commodore Leonard Birchall will always be remembered as the Canadian hero who saved Ceylon (Sri Lanka) during the World War 2. Yes indeed, he was a real hero. Good Post with a collection of a lot of historical memories.